The Post Conviction Relief Act (PCRA) is the sole means for obtaining collateral relief from a criminal conviction in a state court of Pennsylvania. PCRA petitions differ from direct criminal appeals. Typically, PCRA petitions address the performance of a criminal defendant’s prior counsel. PCRA may also concern the discovery of new exculpatory evidence, providing the basis for re-opening a case. Miller Lyden attorneys have over 25 years of combined experience handling post conviction matters. Strict deadlines apply to the filing of a PCRA petition. Contact our office as soon as possible to allow us the best opportunity to assist you. 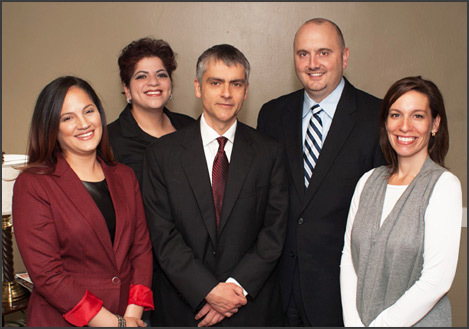 Based in the greater Lancaster area, the attorneys at Miller Lyden P.C. specialize in Criminal and Family Law services. Disclaimer: The material on this website is for informational purposes only. Miller Lyden P.C. practices law exclusively in the State of Pennsylvania. Written materials should not be sent to the law offices of Miller Lyden Associates, Criminal Defense Attorney until you have spoken to, or otherwise communicated with our firm. Miller Lyden P.C. cannot consider you a client until we have consulted and met with you personally, and an agreement toward representation is reached by both parties. Please keep in mind, that there are many different types of cases, all cases are unique and legal authority pertaining to every case can and does change. It is also important to remember that prior results, success or otherwise, cannot and does not guarantee similar outcomes with respect to any future matter in which any lawyer or law firm may be retained. 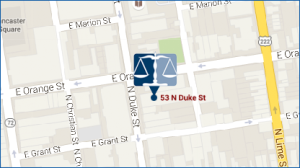 To the extent that this website discusses past cases our firm has handled, or in any way mentions the firm or its services, Pennsylvania courts may deem this to be attorney advertising.